On Wednesday, the domestic unit crashed 75 paise, its first loss in last four sessions, to close at 70.18 amid strengthening of the greenback and heavy selling in domestic equities. Continuing its slide, the rupee opened 11 paise lower at 70.29 against the US dollar on Thursday amid mixed Asian cues. On Wednesday, the domestic unit crashed 75 paise, its first loss in last four sessions, to close at 70.18 amid strengthening of the greenback and heavy selling in domestic equities. 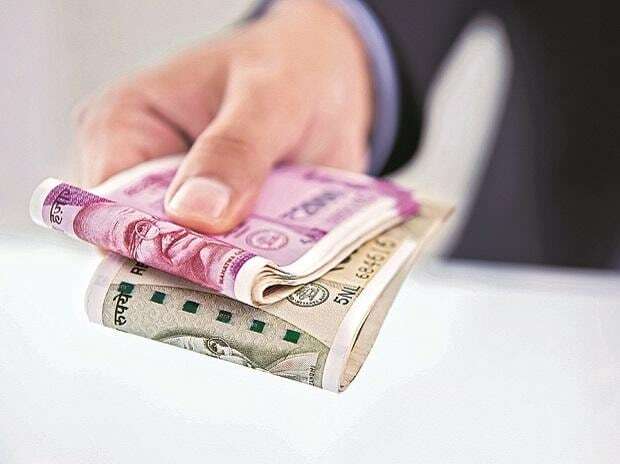 Forex traders attributed the rupee fall to strong dollar against major global currencies overseas, fall in domestic equities and weak GST collections. Falling crude oil prices, however, supported the rupee and capped the losses to some extent. "Yesterday, volatility in major crosses remained high and broad weakness was witnessed primarily on back of broad strength in the dollar. Today, USD/INR pair is expected to quote in the range of 70.05 and 70.50," says Gaurang Somaiya, Research Analyst(Currency) at Motilal Oswal Financial Services. The dollar-rupee January contract on the NSE was at 70.37 in the previous session. January contract open interest (OI) increased 3.17 per cent in the previous session, notes analysts at ICICI Direct Research. "We expect the US$INR to find supports at lower levels. Utilise downsides in the pair to initiate long positions," they say.